After spending three years at the Wynn’s Encore Theater in Las Vegas, Steve Wynn and Garth Brooks have announced a concert filming to extend six shows from Memorial Day to the 4th of July weekend. The concerts will memorialize Brooks’ time with the resort magnate, and is expected to be available on DVD. The filming will take place during two shows Friday, May 24, in addition to two shows on Saturday, May 25 at 7:30 p.m. and 10:30 p.m. July 4th weekend shows will include one show on Friday, July 5 and one show on Saturday July 6. 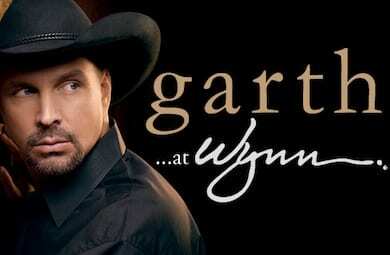 “Any day that Garth is in the Wynn is a good day for the hotel and a great night for the audience,” said Wynn. Tickets for Memorial Day will be available for $125 this Monday (May 6), beginning at 10 a.m. PT at ticketmaster.com, at the Wynn’s website, or by calling 702-770-1000. Tickets for the July 4th weekend will go on sale June 3. Brooks began his run at the Encore Theater in December of 2009 and played the final show there in November of 2012, shortly after his October 2012 induction into the Country Music Hall of Fame.